* Written in easy-to-understand language for a wide audience. * Gives detailed information on where to view outstanding Sierra Nevada geology in some of the world's most beloved natural treasures and national parks, including Yosemite. * Provides specific information on places to see glaciers and glacial deposits, caves, and exhibits of gold mines and mining equipment, many from Gold Rush times. * Superbly illustrated with 117 new color illustrations, 16 halftones, 39 line illustrations, and 12 maps, and also features an easy-to-use, interactive key for identifying rocks and a glossary of geological terms. 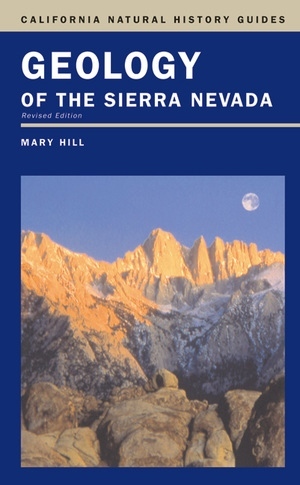 Geologist Mary Hill is the author of Gold: The California Story (California, 2002) and California Landscape: Origin and Evolution (California, 1984). She is coauthor of Volcanic Eruptions of 1980 at Mount St. Helens: The First 100 Days (1982). Longtime editor of the magazine California Geology, she was later Western Region Information Officer for the U.S. Geological Survey and Adjunct Professor of Geosciences at San Francisco State University.